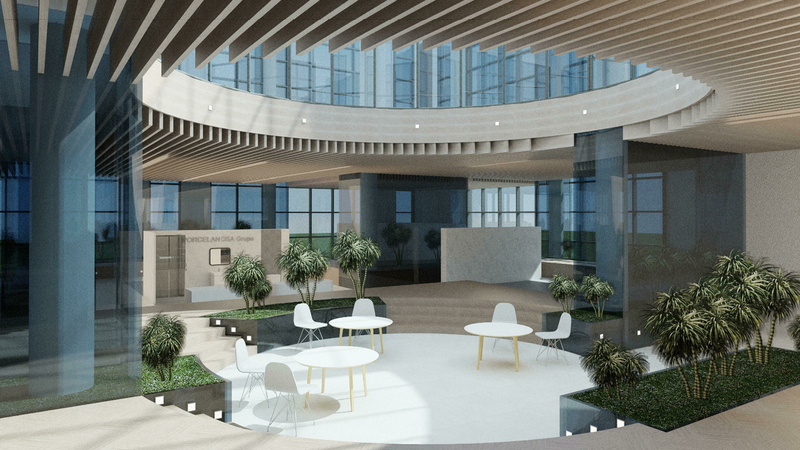 The 11th Porcelanosa Awards: A natural space for the PORCELANOSA Grupo’s showroom. 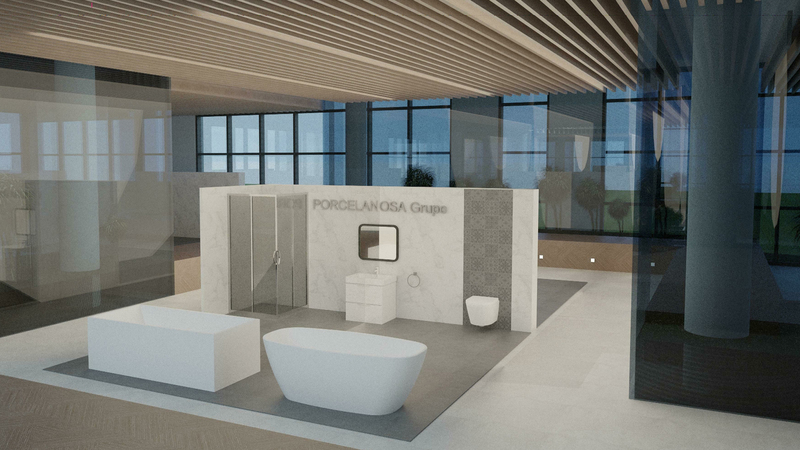 The students, Elena Pereda Lebaniegos and Bárbara López Fanlo, from the Master Bim Manager, have become finalists at the 11th Architecture and Interior Design Porcelanosa Awards. Their design for the central showroom in Vila-real is structured through an elevated platform by means of which the visitor will have an overall view of the eight spaces dedicated to the firms from the PORCELANOSA Grupo. The space is arranged from an open epicentre which makes the most of the natural light. It is in this starting point of the tour where the visitor will be able to incorporate themselves in any of the points, as well as being able to choose the desired firm. The false ceiling, which has been created with vertical wooden slats in a Starwood finish, allows for a space expansion in visual terms. The flooring by Venis produces a made-up colour contrast which makes the pieces of each firm from the PORCELANOSA Grupo different. The green spaces which are located behind the pillars, have a glass enclosure through which one can see the whole plant from any angle. .
Last but not least, the marble wall tiles by Porcelanosa lead the way in providing the exhibition with distinction, as well as conveying the elegance from the PORCELANOSA Grupo.